Stay in a space that is the perfect blend of yesterday and today. 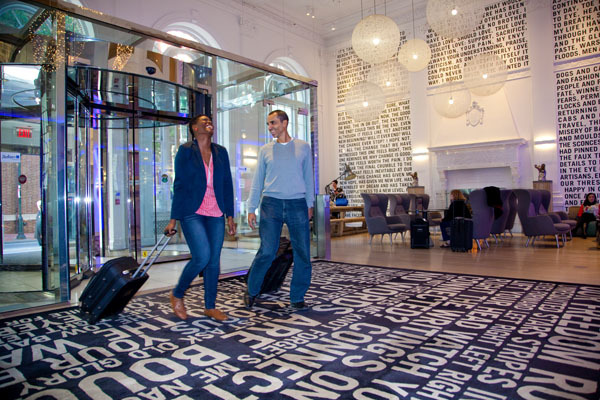 The Warwick Rittenhouse Square hotel is the one-stop destination for travelers seeking expedition in Philadelphia, with its ideal location in center city, leaving you within walking distance to the best attractions and monuments in the city. The ideal location places visitors right in the heart of Philadelphia’s most iconic and coveted neighborhoods. 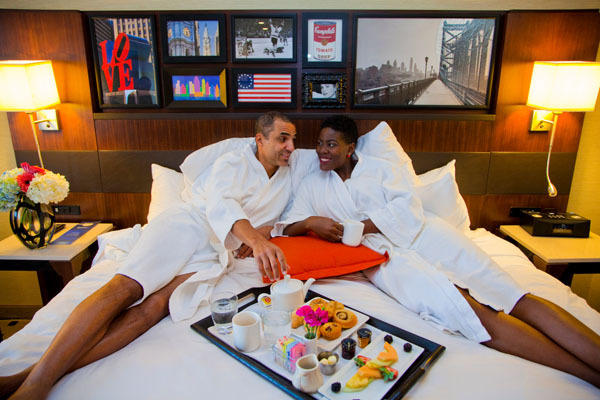 Guests can enjoy a short stroll to the city’s finest dining, nightlife, and cultural attractions, including a bike ride to the liberty bell. World-class shopping, and entertainment is also just a block away along the acclaimed Walnut Street—the epicenter of Philadelphia. The historic walls sing loud and proud with the echoes of famous musicians, celebrities, politicians and sports stars who have called Warwick their home during their stay in this beautiful city. The 301 rooms and suites feature sleek design, paired with contemporary elements and up-to-the-minute technology. The rooms are reminiscent of the Gilded Age, when hotels were designed to accommodate the social elite. The sophisticated décor and deluxe amenities such as free Wi-Fi, a mini refrigerator/cooler, and large flat screen television are the contemporary elements todays’ travelers’ desire. For a relaxing time, guests can opt in for in-room spa services to release the tension and pressures of a busy life. The skilled massage therapists utilize only the highest quality natural and organic products designed to nourish and rejuvenate the body. Satisfy your cravings with The Prime Rib, an upscale gourmet dinner inspired by the iconic supper clubs straight out of 1940s Manhattan. Guests can indulge in succulent steaks, fresh seafood and crafty cocktails in an elevated atmosphere, dressed with elegant retro charm. To start the day, Bluestone Lane is inspired by the contemporary café culture of Melbourne, Australia. Known for their premium coffee and healthy breakfast items like avocado toast, this chic establishment will add some style to your day and offers the perfect start to your busy day. The Warwick is also known for its dynamic and historic meetings and events, which have taken place in one of the 10 flexible meeting venues and 2 spacious ballrooms. Their venues feature an upscale and modern design, with audiovisual services and the technological capability to ensure smooth running of a presentation. The Grand Ballroom also offers digital lighting, which allows guests to alter the mood and lighting tone for their occasion. The Warwick Rittenhouse Square Hotel offers impeccable service, style, and comfort for a superb stay in a wondrous city like Philadelphia. With only minutes away from rental bikes, which will take you all around the city, exploring its history and character and steps away from the culture, Warwick is the ideal place for a convenient and enjoyable stay in Philadelphia.